Yuck! A Romanian company is accused of dumping 47 tonnes of animal carcasses on the outskirts of Bucharest. The firm, Protan, could be fined up to £10,000 ($20,000) and those found responsible could face jail terms. 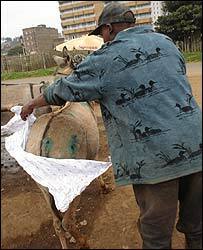 The carcasses are rotting amid heat of 38C (100.4 degrees Fahrenheit), just meters from a main road. 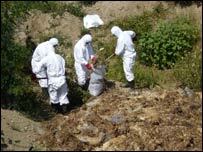 Piles of black plastic bags are stacked around the dump, with bits of chicken and even horse carcasses poking through. A strong wind is blowing the stench in all directions, but more worrying is the danger to human health. An alcoholic crow that sticks his beak in people's pints of lager has been banned from his favourite pub. According to the UK's The Sun, the boozy bird, nicknamed Carling by drinkers, swoops on customers' pints whenever they turn their backs. Sarah Wyatt, manager of the David Protheroe pub in Neath, South Wales, told the newspaper: "At first everyone thought it was funny. Then a bird expert pointed out he's a carrion crow which feeds off dead animals." "I'm glad he's been banned. You never know where his beak's been." 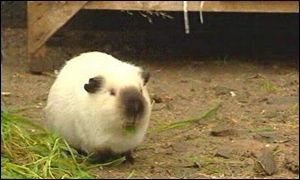 A guinea pig called Sooty enjoyed a night of passion with 24 females after fooling his way into their cage in south Wales. Sooty wooed the lady guinea pigs, one by one, and has now become the proud father of 42 baby guinea pigs from his two nights of passion. His endeavours left staff at Little Friend's Farm, Hopkinstown, Pontypridd, amazed at his stamina. Park owner Carol Feehan, 42, said: "I'm sure a lot of men will be looking at Sooty with envy. A US Airways jet was diverted as it came in for landing at Sky Harbor Airport in Phoenix on Thursday because a dog was running loose on the runway. The dog, which appeared to be a stray, turned up on the runway on the south side of the airport around 5:45 a.m. The dog ran across both runways, eluding airport security workers for 30-minutes, as they chased it in vehicles and on foot. Animal testing in Britain has reached a 15-year high and is set to go on rising. The growing use of genetically-modified mice in scientific research last year pushed the total number of animals used in laboratory testing to more than three million for the first time since 1991. More than two-thirds of all the animals used in scientific testing were mice. Another 406,000 procedures were carried out on rats. But the use of larger, more controversial species continued. Some 4,200 "non-human primates", including monkeys and marmosets, were used in British labs. That figure was a 10 per cent fall from 2005. 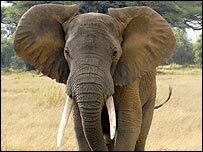 And among the large mammals used last year were 36,377 sheep, 8,821 horses, 7,402 dogs, 5,334 cattle and 4,675 pigs. Fish Condo Doesn't your fish deserve to live as stylishly as you do? This fish condo not only breaks up the monotony of one-bowl swimming, it makes your fish the envy of his friends. 3 interconnected globes create a 3-room living space. Lenuta and Costel, two tiger cubs from one of the world's most endangered species, the Siberian tiger, were born in a Romanian zoo this year. The Siberian tiger, native to northern China, southern Russia and parts of North Korea is on the brink of extinction in the wild, decimated by poaching and loss of habitat. Scientists believe only a few hundred now live outside captivity. The cubs, now weighing 3 kilos (6.6 lb) each, were born on May 21 to six-year-old Gina and her mate, six-year-old Geo. When Paul Hewitt wants to check whether mold exists in a home or building, he brings along his two-year old beagle, Kody. That's important because Kody does the work. When Hewitt says "show me," she sniffs out the mold by pointing her nose at the spot and sits patiently at the spot, nodding her head up and down, until the spot is marked. Kody has been trained for up to 1,000 hours on detecting 18 different types of mold. I thank my Bee Balm for attracting hummingbirds to my garden. They are such a delight to watch and such a surprise for many visitors who have never seen a hummingbird before, or even believe that we have them in the Chicago area. 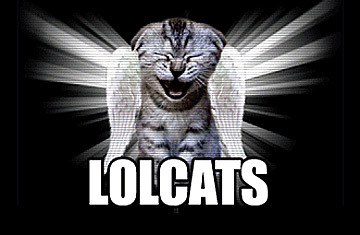 Then, when I tell them that these beautiful little creatures fly to Mexico for the winter, they're really amazed. Supposedly, hummingbirds will return to the same flower beds year after year. Well, ours seem to be pretty comfortable with having us around. The birds will fly within a foot of us and especially enjoy flying through the water spray when we're sprinkling the flowers. The Bee Balm, or Monarda, are an easy to grow perennial. They grow about three feet tall, and from a distance, look like clouds of red in the garden. Close up, you notice their nice, spicy scent. Even closer, and you see massive, fat, bumblebees harvesting nectar, and of course, the hummingbirds. In this article, Nancy Newfield describes the bee balm and twelve other plants that attract hummingbirds. Oscar the cat seems to have an uncanny knack for predicting when nursing home patients are going to die, by curling up next to them during their final hours. His accuracy, observed in 25 cases, has led the staff to call family members once he has chosen someone. It usually means they have less than four hours to live. The 2-year-old feline was adopted as a kitten and grew up in a third-floor dementia unit at the Steere House Nursing and Rehabilitation Center. The facility treats people with Alzheimer's, Parkinson's disease and other illnesses. After about six months, the staff noticed Oscar would make his own rounds, just like the doctors and nurses. He'd sniff and observe patients, then sit beside people who would wind up dying in a few hours. Jumbo squid that can grow up to 7 feet long and weigh more than 110 pounds are invading central California waters and preying on local anchovy, hake and other commercial fish populations. An aggressive predator, the Humboldt squid—or Dosidicus gigas—can change its eating habits to consume the food supply favored by tuna and sharks. Before the 1970s, the giant squid were typically found in the Eastern Pacific, and in coastal waters spanning from Peru to Costa Rica. But as the populations of its natural predators—like large tuna, sharks and swordfish—declined because of fishing, the squids moved northward and started eating different species that thrive in colder waters. Colombia is home to the world's largest number of land mine victims. Last year, there were 1,108 victims, or about one every eight hours, the government says. Nearly a quarter of the victims die from their injuries. For the past year, a special Colombian police unit has been locking rats in cages with cats as part of a project to train the rodents to sniff out the more than 100,000 land mines planted mostly by leftist rebels across this conflict-wracked Andean country. Bringing the rats face to face with an enemy allows them to stay more focused once they are released. It is a story that combines all the great mysteries and exciting discoveries of the sea – an octopus hauled onto a fishing boat with valuable ancient pottery attached to its suckers. The discovery is being hailed as one of the great undersea treasure discoveries of modern times. Officials at the National Maritime Museum in Seoul say the pottery dates back to 12th century, when the Koryo Dynasty ruled the Korean peninsula. The adventure began when Korean fisherman Kim Yong-Chul cast out a long line, felt a familiar tug and hauled up his first octopus of the day. He was puzzled by several blue objects attached to its suckers and thought at first they were shells. 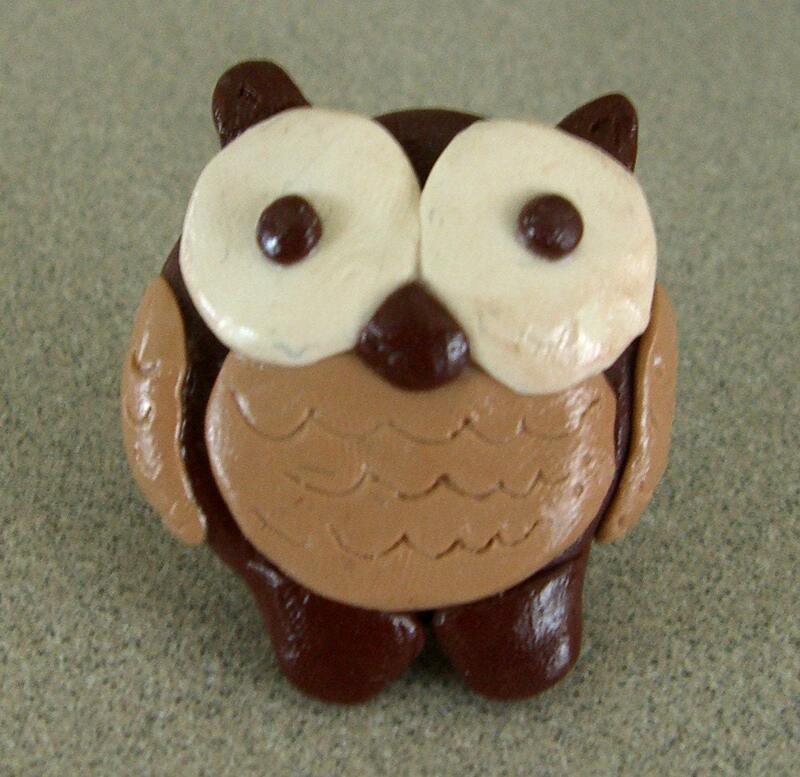 But when he examined them, he realized they were pieces of pottery. Not realizing he was on the point of making an incredible discovery, he cast out his line again and again, bringing in more octopus with shards of pottery attached. Although other ships have been found and pottery recovered, this is the first time a family of octopus have found a wreck for the museum. Volunteers have been taking part in one of the most popular wildlife events of the British summer - the bi-annual count-up of hundreds of swans at a Dorset swannery. A colony of the birds has lived at Abbotsbury sanctuary since medieval times and keeping track of their numbers has become an annual tradition. Between 600 and 1,000 flying swans breed, nest and hatch there every year. They provide feathers for the helmets of the Gentlemen at Arms, the Queen's bodyguard. in addition, Lloyds of London use quills from Abbotsbury swan feathers to register insurance losses in their 'Doom' book. The remains of a prehistoric mastodon - a mammoth-like animal - have been found in northern Greece, including intact long tusks. The mastodon's tusks measure 5m (16.5ft) and 4m. 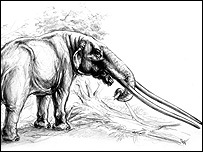 They are the longest tusks ever found on a prehistoric elephant-like animal. The animals were similar to woolly mammoths, but had tusks that pointed forwards, rather than spiralling upwards. Their teeth were also different. Martin Hof has become a minor celebrity here, in part for his ability to communicate with fowl, which some say borders on the magical. And while there's something special, and a little comical, about watching him talking, humming, and yes, whispering to the birds, there's more to this than meets the eye. At age 23, Hof has developed an unusual approach to managing urban geese populations that is gaining adherents in the animal-friendly Netherlands - the first country in the world with an animal rights party in parliament. "It's all about respect for the geese," he says. The main problem at the Hof van Delft and most parks is that the birds have been allowed to overbreed and are clashing with the humans whose territory they share. But rather than destroying them, Hof finds new homes for the geese, dividing them along family lines to reduce the trauma of the move. MACON, GA (AP) -- A Georgia family is upset with their local sheriff's office after a deputy shot and killed their pet pig. Janice Jones said that Gator, a black, potbellied pig, was a friendly animal that her family had owned for five years and that her two children, ages five and seven, adored. David Davis, a chief deputy with the Bibb County Sheriff's Office, said a new neighbor of the Joneses called the sheriff's office Wednesday morning, telling them that a wild hog was in her flower bed in her yard. The hog had no collar and looked like a wild hog, he said. A sheriff's deputy responded to the call and spent about two hours in the neighborhood, trying to decide what to do before finally shooting the pig, Davis said. Neatorama's post about London's white chipmunk led us on a hunt for white animals around the world. Migaloo, the baby whale, was found off Heron Island, on Queensland, Australia's central coast. He is believed to be the only completely white humpback whale in the world. In Bangkok, at the Dusit Zoo, a rare baby albino common barking deer was born April 7, 2007. An albino mountain goat was photographed in Valle D'Aosta in Italy on June 24, 2007 . This is the only white capra ibex ever documented, the only one ever seen. Forest rangers have named him "Snowflake." In Wiarton, Ontario, Wiarton Willie, Canada’s famous white groundhog, emerges from his lair every February 2nd to check his shadow and tell us whether we’ll have a long winter. Two African pygmy hedgehogs in Cumbria, England, produced an baby albino hedgehog. Only one in ten thousand hedgehogs are born totally white with red eyes. Dinah, the albino alligator, can be found at the Knoxville Zoo in Tennessee. Dinah is one of only 30 known true albino American alligators out of five million worldwide. Royal Gorge Bridge and Park, in Canon City, Colorado is the home to a whole family of rare white buffalo. This is a healthy recessive gene unlike the albino recessive gene which results in pink eyes, horns and hooves. These white buffalo have dark eyes, gray horns and hoofs. The sire for the calves, Chief Silver Bullet, a 3-year-old white buffalo, is a proud father who participated in welcoming the newborns by helping to clean them off and protect them. A rare, white parrot was born to a Tahlequah, Oklahoma, bird breeder. The number of breeders across the world who can say they have helped hatch a white Quaker parrot is extremely low. A dozen may be a big overestimation. Had the bird been red-eyed, it would have simply been an albino Quaker – not really a big deal. That, however, was not the case. The bird now lives in Louisiana. In 2006, an albino hummingbird was photographed in North, South Carolina. Only about a dozen albino or leucistic Ruby-throated Hummingbirds have been banded, and none of them are known to have returned in a following year after migrating to Mexico or Central America for the winter. 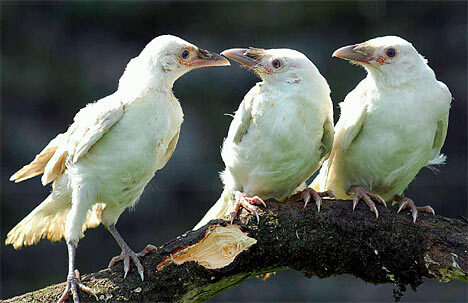 County Durham in the North East of England has Tic, Tac and Toe, white ravens which were found starving in a churchyard. An albino African penguin chick, hatched at Bristol Zoo in England is proclaimed to be "one-in-a-million." There have been only two recorded sightings of albino penguins in the wild. Four white Bengal tigers were born in April, 2007 at the Guadalajara Zoo in Mexico. It is the sixth litter of white tigers born at the facility -- all sired by the same father, named Nino. A white tiger born at this zoo is the one that attacked Las Vegas entertainer Roy Horn of the Siegfried and Roy act in 2003. Cute Baby white tiger. There are many reports of white lions being born in zoos. There aren't many things more adorable than white lion cubs. But white lions do not survive well in the wild and none have been seen since 1975 when they were documented in a pride found on the Timbavati Game Reserve in South Africa. A 53-pound albino catfish caught by a fisherman out of the Missouri River in July 2007, is now on display at the Tennessee Aquarium in Chattanooga. In Valbrembo, Italy, on March 28, 2007, a baby albino wallaby named Pino, was born at “Le Cornelle” zoo. On Princess Royal Island and Gribbell Island near the mid coast of British Columbia, a Kermode or spirit bear, a rare white-coated black bear, occurs at about 10-20% frequency. They are occasionally also found in Wisconsin, Alaska and Minnesota. It is thought that the presence of a single recessive gene in these creatures is responsible for the white coat that as many as one in ten of these bears is born with and retain throughout their lives. The Minnesota Division of Natural Resources passed a permanent regulation protecting all white-phased black bears from hunting. Exeter, Ontario Canada has white squirrels which they are very proud of. So proud that Peter Snell has produced a song and video about them: "White Wonder." In Brevard, North Carolina, about 25% of the town's squirrels are white squirrels. The town "goes nuts" each year with a White Squirrel Festival. Olney, Illinois, loves their white squirrels so much that local laws give the squirrels right-of-way on every street; residents are fined if they try leave town with one. Local police patches bear an outline of a bushy-tailed albino squirrel. Marionville, Missouri, proudly proclaims itself the Home of the White Squirrel, with emphasis on “the.” “Olney had a celebration this past year: 100 years of the white squirrel.” a spokesman said. “Well, we’re long before that. We claim that they got them from here.” On the hunt for white squirrels, we found something really different in Oglesby, Illinois and Granville, Illinois. These towns are the home to white-tailed squirrels. Partly-white squirrels are not partly albino, because there is no such thing. But like albinism, white patches of fur on dark animals are a genetic mutation. In 2006, a white moose was spotted in forests of Østfold, Norway. Norwegian hunters were gunning for it, so it might not be there any longer. German hunters in the Erzgebirge Mountains in eastern Germany were going after a snow-white deer with pink eyes, so that one might be gone as well. Even more sadly, Snowflake, the world's only albino gorilla died of skin cancer at the Barcelona Zoo on November 24, 2003. Snowflake had a good life though, in his 37 years at the Barcelona zoo, he fathered 22 offspring with three different females. None is albino. Anti-Bark Dog Collar The Gentle Spray TM Anti-Bark Collar is the most humane and effective nuisance barking solution. It delivers a harmless burst of citronella to interrupt your dog's barking. Twice as effective as electric shock! A white chipmunk has moved into Ron Dawson's front yard in north London and is defending its territory. "He chases away blue jays and morning doves. It's a wonder he's survived because he really sticks out against the background," Dawson said. The white rodent -- which Dawson has named WACy for white albino chipmunk -- isn't a true albino. He has black eyes. WACy survives on bird feed that falls from a feeder in Dawson's front yard. See a video of the cute little guy here. Two fourteen-year-old boys, while trying to impress a girl, climbed into the hippo exhibit at the Kansas City Zoo and threw rocks at the two-ton mammals. John Davis, a national expert on hippos, said it was a crazy stunt, considering the animals' weight and that they can run faster than the average human, at least for short distances. Next time - why not just buy flowers? One Lancaster County neighborhood has flies -- swarms of them. "There's always flies, always, not one -- a lot," said homeowner Tracey Little. "It's horrible, absolutely horrible. You can't go out on your deck. You go out to sit in the sun and you're covered with flies," Little said. "If I'm cooking in here and have the door open, that door will literally be covered in flies because of the smell of the food." Some neighbors said they think that a nearby chicken farm could be causing the fly infestation. 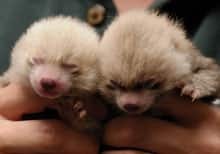 A U.S.-born giant panda has given birth to twin cubs in a research center in southwest China, state media reported on Tuesday, its third pair of twins so far. Eight-year-old Huamei, whose name means "China America," gave birth to the first cub at Sichuan province's Wolong Nature Reserve early on Monday, Xinhua news agency said. The second, a male weighing 129.8 grams, came three hours later. The first cub's gender and weight have yet to be established, but both the cubs and mother were doing well, Xinhua quoted Li Desheng, vice-director of the reserve's research centre, as saying. The cubs are the third pair delivered by Huamei, who gave birth to twins in 2004 and 2005 since returning to the motherland in February 2004, the agency said. Huamei is the first giant panda to have been born and survived in the western hemisphere since 1990, Xinhua said. The real fire fox in nature is actually called Red Panda, Ailurus fulgens, an endangered species. It is is a mostly herbivorous mammal, slightly larger than a domestic cat (55 cm long). This red panda has semi-retractile claws and, like the Giant Panda, has a "false thumb" which is really an extension of the wrist bone. Thick fur on the soles of the feet offers protection from cold and hides scent glands. The Red Panda is native to the Himalayas in India and Nepal and southern China. Virginia Zoo officials on Monday began trimming the landscaping around a new red panda exhibit after the animal escaped for the second time in less than a month. Yin, a 1-year-old that resembles a raccoon with red, white and black fur, was discovered missing from her exhibit Saturday. On June 21, Yin made visitors wait two hours until she emerged from her habitat for her debut only to escape into a nearby tree. "She's just testing every limit that might be in the exhibit," zoo director Greg Bockheim said. After the zoo opened Saturday, zookeepers discovered Yin was missing. They located her near the bison exhibit, then she scampered to a tree near the back of the duck pond. Bockheim climbed about 30 feet up to retrieve her, but Yin scurried down to the zookeepers. She also was found hiding in a tree near the duck pond after she escaped the first time. "She's a character," said Alison Till, the zoo's director of development. How and why she escaped from her habitat, which includes an air-conditioned bamboo hut and logs for climbing, is unclear. Birds of a feather stick together. But helpers at the Weardale Animal Sanctuary in County Durham were still astonished to find these three rare white ravens huddled close in a nearby churchyard. The birds, which have snow-white colouring and blue eyes instead of ravens' usual jet black plumage, were starving to death and showed signs of being attacked by other crows. Sanctuary manager Sally Rowley said the fledglings, named Tic, Tac and Toe, were "skin and bone and were just sitting, not moving". It is thought the trio had been abandoned by their parents. But thanks to a diet of mince and parrot food at their new home, they look to have left their ravenous days behind them.